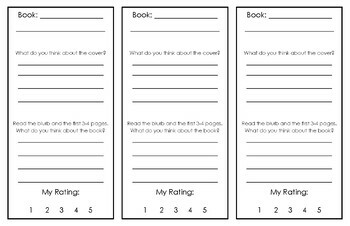 Can be used to try out books before a unit. We use it before Units of Study book clubs and same book partnerships. 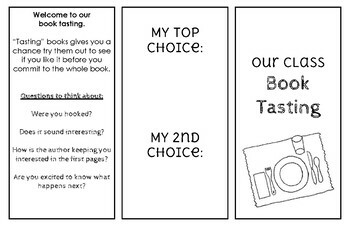 Helps students narrow down choices and think about what is interesting to them in a book. Note: This tri-fold should be printed on "Ledger" paper, sized 11 in by 17 in. This can be chosen in a drop down menu within the print window. It can be printed on letter paper, but may not print correctly.